Church Street United Methodist Church (CSUMC), designed by the New York firm of John Russell Pope with local architect, Charles I. Barber, was built in 1930-31 by Worsham Brothers with TL Yon as the stone mason. Between 1945 and 1956, the stained glass windows designed by the Charles Connick Studio of Boston, Massachusetts were installed in the Nave of the church. An Education Building primarily composed of classrooms was added to the west in the 1960s. Currently the building is used as a preschool on the first floor during the week. The Church Life Center constructed in the late 1980s includes classrooms and a gymnasium. 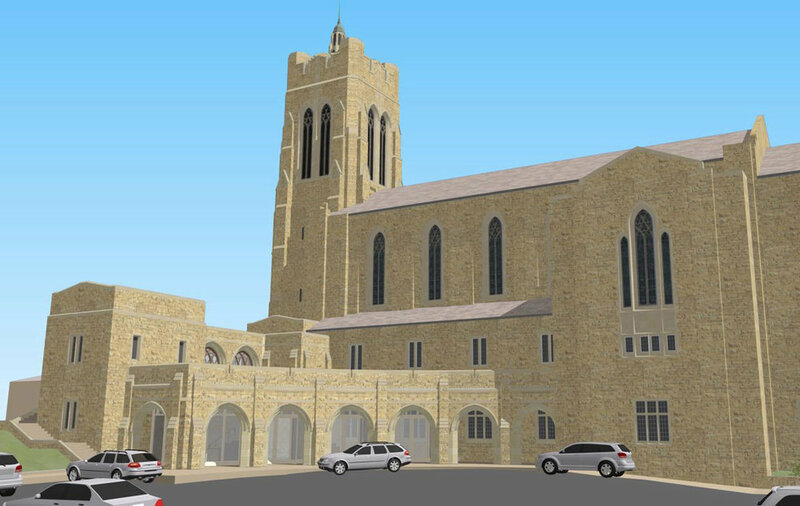 Listed on the National Register of Historic Places and described as “one of the most important church buildings in the South,” the 1931 CSUMC building is a unique structure that is in need of renovation and renewal to further its continued service to the church congregation and community at large. 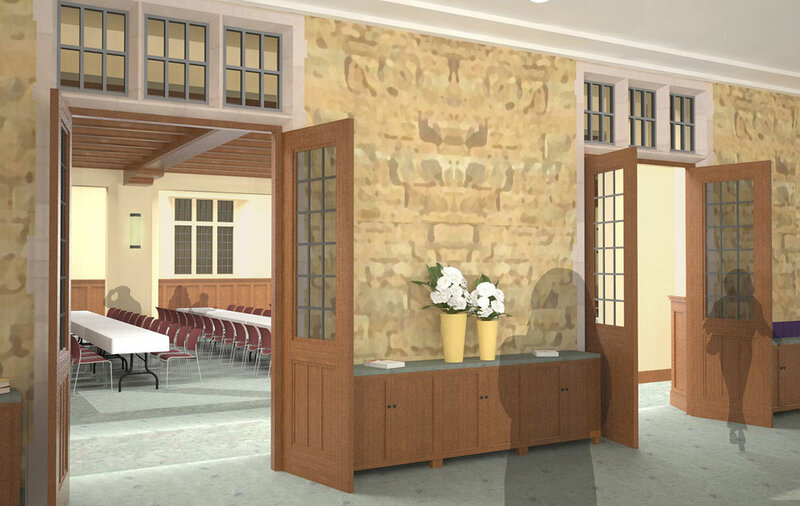 The Renovation and Renewal Project Task Force Committee solicited input from CSUMC members, administration and staff, for what was initially conceived to be a renovation of the Parish Hall. 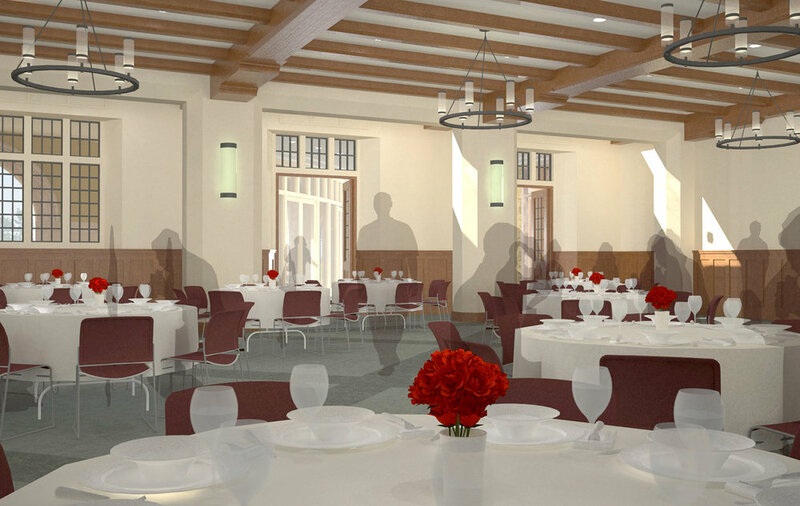 As the information was gathered, the committee recognized that the renovation of the Parish Hall would impact “areas and activities beyond its original footprint.” To this end, the scope of the Master Plan Study expanded to the entire first floor including entrances, parking and drop off areas, and signage.